National Organization For the Promotion of the Irish Crafts industry: Aims, Objectives, Benefits, History, Members, Services, Contact Details. of the Crafts Council of Ireland. For nearly four decades, the CCoI has been the principal advocate of the Irish craft industry. Its aims and objectives include the promotion of the industry's commercial strength and unique identity, together with the stimulation of quality design, innovation and competitiveness. Unlike the Arts Council (An Chomhairle Ealaíon, the leading advocate of visual art in Ireland), which is an autonomous semi-state body funded by the Department of Arts, the Crafts Council of Ireland is a limited company funded at home, via Enterprise Ireland, by the Department of Enterprise, Trade and Employment. As one of the national Irish Art Organizations, the CCoI helps to raise the profile of the crafts industry in the eyes of the goverment, the media, and the public. It also liaises with state bodies like Culture Ireland (Cultúr Na hÉireann), to ensure that Irish crafts and craftspeople are showcased abroad: for example, at the recent 15th Annual Exposition of Sculptural Objects & Functional Art (SOFA) in Chicago - an important gateway into the $2.7 billion collectible fine craft industry in America. Or at home, in the case of Bloom 2008  Irelands premier garden event organised by Bord Bia. Over 80 craftsmen and women were represented at the show thanks to a joint CCoI/Bord Bia arrangement. There are several other examples of similar collaborative events which are helping to raise the profile of the crafts industry in Ireland. The CCoI also acts as a pressure-group to negotiate improvements for craftspeople in the area of state funding. It also stages exhibitions like Showcase 2008, and organizes awards for excellence like the Crafts Council of Ireland Craftsmanship Award, and the RDS National Crafts Competition. In addition, it provides a number of training courses like The Crafts Council of Ireland Ceramic Design and Skills Training Course, works from which are then exhibited to the public. The CCoI also stages public shows of works by Irish and international craftspeople, through the National Craft Gallery. It also purchases outstanding pieces of Irish craft for its own Collection. In a nutshell, the CCoI gives Irish crafts a voice, and works behind the scenes to create opportunities and to build an infrastructure capable of sustaining Irish workmanship across all areas of 'arts and crafts.' One way of assessing the importance of the Crafts Council of Ireland is to imagine it didn't exist. In today's global economy, such a possibility would be unthinkable. Major sectors within the craft market include: ceramics, stained glass art, (see also stained glass art materials & methods), jewellery, textiles (notably tapestry art and knitwear), metalwork, and furniture. It also includes activities as diverse as felt-making, papercraft, sign-writing, weaving, book-binding, toy making: there's even a popular craft of beer-making! Although most craft enterprises are typically small scale concerns, they are located throughout the country and make a valuable contribution (approx €122 million per annum) to the economic and cultural well-being of many rural areas which remain outside the ambit of manufacturing grants and other trade assistance programs. In light of this, and the relatively generous funding offered to the visual arts sector, it is perhaps understandable that debate still rages over whether the craft industry is receiving its fair share of financial support. Very often grants are only provided on a 'matched-funds' basis: one reason why craft guilds and similar local bodies are so important. See also: What is art? The CCoI was formed in 1971, largely as a result of the 1970 World Crafts Council Conference, which took place in Ireland the previous year. Initially a voluntary body under the chairmanship of Frank Sutton, aided by a committee of honorary officials, it moved into office facilities provided by the Royal Dublin Society, and began raising subscriptions from members. In 1976, it became a Limited Company, receiving sufficient funds from the Industrial Development Authority to recruit a skeleton staff at Thomas Prior House, Ballsbridge, and was tasked to raise standards in craft-making, improve the welfare of craftspeople, and to act as advisors to the Government in issues involving crafts. Since then, the aims and objectives of CCoI have evolved via a series of strategic plans in an attempt to keep pace with the needs of the industry and to ensure its successful growth. Currently based in Kilkenny, the Council now employs 13 full-time staff as well as a number of part time contractors and project managers. It has over 60 Member Organisations, over 1,600 registered craftspeople. See also: The History of Irish Art. The CCoI now provides a range of services for the benefit of registered craftspeople and buyers of craft-products. These include listings in the CCoI website database of crafts people, tailored business support programs, and the establishment of Showcase, Ireland's largest trade-only craft fair. The CCoI has developed a number of education and training programs to develop skills and techniques within the crafts sector. Through the auspices of The National Craft Gallery (NCG), the CCoI runs a dynamic national and international program of exhibitions featuring the full range of crafts. This is further supported by a National Collections program. The CCoI produces a number of Consumer Research reports on the craft market. The CCoI's website includes a database search facility for anyone wishing to locate individual craftspeople, either by 'type of craft', 'business name' or 'geographical location.' Entries include information on individual craftsmen and craftswomen, together with images of their work. More details of the services offered can be obtained from the CCoI website, listed below. See also: Visual Arts in Ireland. To register as an individual member, or to find out more about the work, services and benefits of the CCoI, please use the following details.  For facts about the art industry in Ireland, see: Homepage.  For details of modern artworks, see: Irish Contemporary Artists. 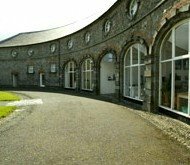  For details of museums and contemporary arts venues, see: Irish Art Galleries.